Come to think of it, ever since the advent of Internet-based maps and virtual globes, all 'real' globes (where maps are printed on an actual spherical surface) have been relegated to 'vintage' status – even new ones. Here are some designers' ideas for using 'vintage' globes to advantage in room design. 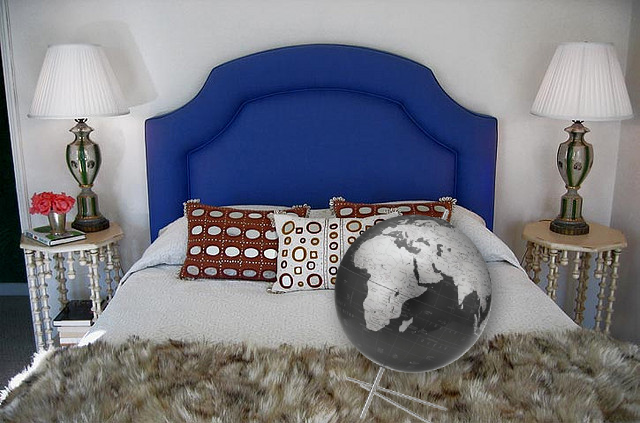 There are globe styles to fit any setting – old or new, serious or stark, chrome-themed or wood panelling, high brow or low brow. Globes themselves have multiple personalities – "casual and formal, serious and playful, colorful yet neutral"
Here's a link to our floor globes collection. 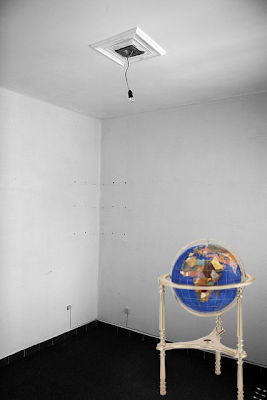 You've just seen how a large floor globe can help enliven an empty room. There's no walking around a really large globe in a room – visitors won't be able to ignore it. Go for Yin-Yang. 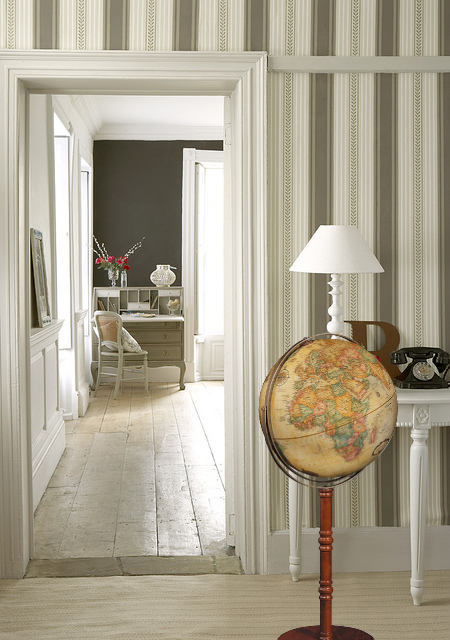 If a room is neutral-themed, add a colored world globe for contrast. 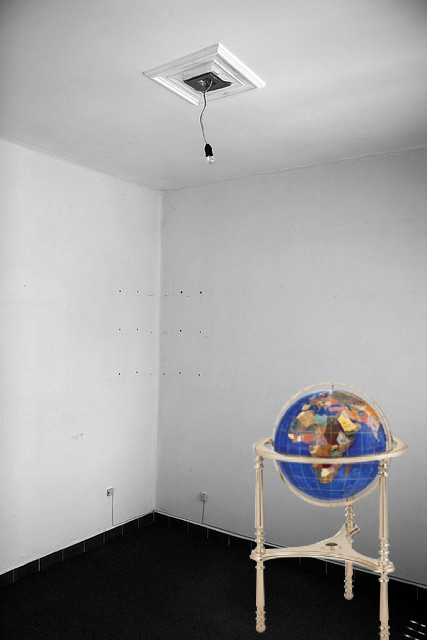 If a room is colorful, why not add a silver-and-black globe? Check out our 'black globes' collection. Remember, globes come in many styles. Some globes come in pairs (celestial and terrestrial). 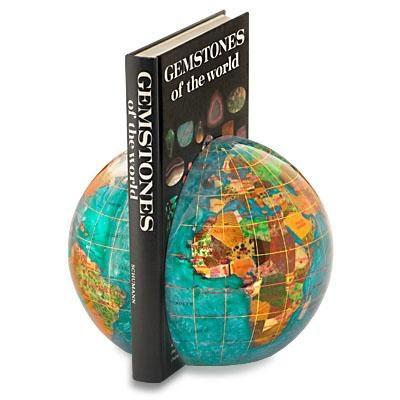 Some globes are even cut into two, each half working as bookends. Whatever your interior designing needs, you can be sure there is a world globe style that can fit the bill.